Considering most resource sites (like the Interweave store) charge about $19 and up to download just one video, the Craft Daily subscription was worth it. For about $20, I had unlimited access to all of the videos on the site, and I watched at least 15 of them. There are videos by big name designers for everything from basic knitting and crochet techniques to designing your own garments and accessories. The most useful tutorials for me were the Seamless Crochet in the Round with Doris Chan, the Toolbox and Tunisian crochet videos with Lily Chin, and all of the designing videos by Robyn Chachula. Although the earlier seasons of Knitting Daily TV episodes are available at Craft Daily, the newer ones are not. That was disappointing, because the show is not offered by my satellite provider as far as I can tell. I didn’t want to have to purchase them separately. 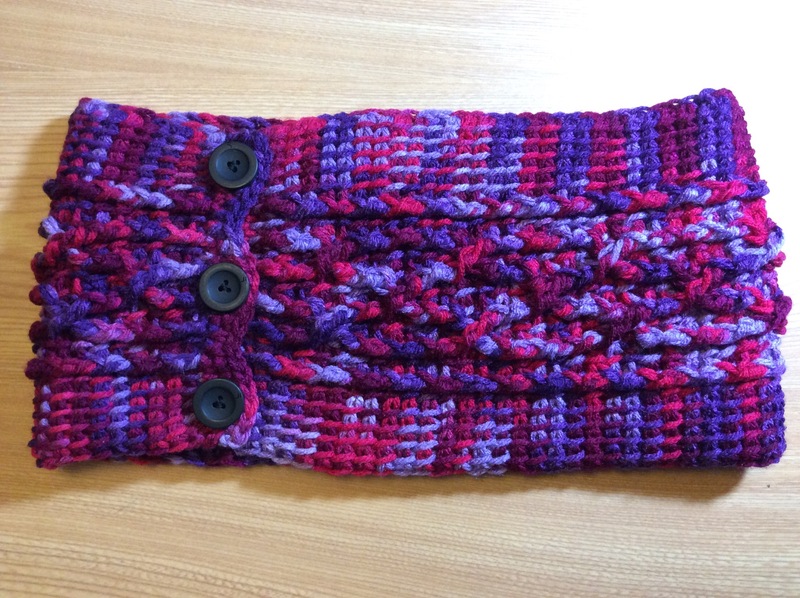 Lily Chin’s Tunisian tutorials inspired me to try a cowl using Tunisian stitch in the round. Up until then I have made them flat, like this one. My next post will feature the results of my first seamless Tunisian project. The idea for Tunisian cables came from Robyn Chachula’s unexpected crochet stitches video, and from one of her pattern books. If you are looking for access to lots of videos, clear instructions and demonstrations of techniques and help with specific patterns, a subscription might be a good investment for you. Many of the videos come with free pattern and instruction booklet downloads. You can access the videos as often as you like, as long as your subscription is valid. It’s a great way to try out the many Interweave tutorials on the site. If there’s one you’d like to keep forever, it makes more sense to purchase that one from the Interweave store than to keep subscribing monthly. Browse through the available workshops first and try the previews before you commit. I am not an affiliate of any of these stores, and this post reflects my own opinion. From one crafter to another, that’s my view.